The Mekong River is life for much of Southeast Asia. It spans between China, Myanmar, Thailand, Laos, Cambodia and Vietnam and acts as a conduit for travel and trade. Its chocolate milk waters host an abundance of biodiversity, second only to the Amazon. Fish that can weigh up to 660 lbs hide below the rivers surface, and provide food for the villages that dot the Mekongs shoreline. 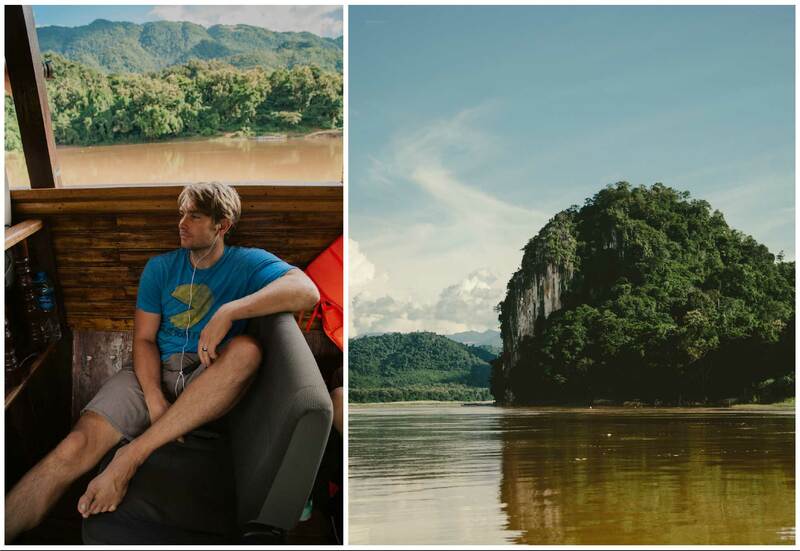 Jason and I took a 2 day slow boat ride from the border of Thailand into Luang Prabang, Laos. The boat was completely packed with a mixture of young foreign backpackers, and locals. As they piled everyone and all of their things into the boat, I thought, surely this is it. They can’t possible fit in anything else. And then they would load another 10 people, or a few bags of rice. By the end, the back of the boat had a mountain of people’ s bags stacked up, with locals spread out laying on top of them. The rickety old wooden boat was open air, open windows, even open engine, so you could see everything as you cruised along the Mekong. It was a hot, sweaty, loud, but overwhelmingly pleasant experience. I didn’t really know what to expect coming in to Laos, so I was surprised when all the eye could see for miles upon miles was untouched Jungle. I have never been to a country that is so undeveloped. There were nearly no signs, for those 2 days, of the modern world. No power lines, so streets, no cars. The only signs that humans even existed, were the small little villages where the boat would stop to drop of locals, or pick up rice. Stop already Laos! I cant handle the beauty! That is not to say that it was not crystal clear at how much life there is along the river. During those 2 days we saw Water Buffalo, Elephants being washed, a funeral pyre, children playing and bathing in the water, people fishing, a Buddhist Temple hidden within a cave, and a constant flow of slow boats making their way up and down the Mekong. As an outsider, observing from a boat slowly drifting by, life in the villages seems simple, communities appear strong, and people are happy with their lives. Quick glimpses of life along the Mekong from our Slow Boat. Nearly half of the population of Laos is made up of ethnic minority tribes that live deep in the hills and mountains of Laos. Laos is one of the poorest countries in the world, with most of its population living well below the poverty line. Most Laotian families only make $1,000 in an entire year. The whole family! A Laotian can live on less than $1 a day. Most live together in wooden or concrete houses. They grow their own rice, fruits and vegetables. Rarely have meat. But even the Laotians will still enjoy a fair bit of Lao Lao, or rice whisky, here and there. Life and death can be seen along the Mekong River. 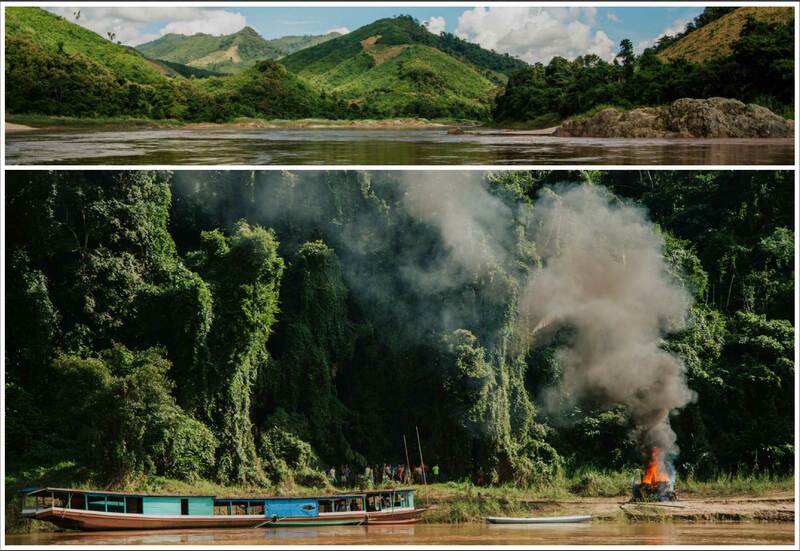 We saw a funeral pyre as we approached Luang Prabang. Many of these communities lives hundreds of miles from any kind of city, and have no real understanding of the outside world. They often don’t even use money, and depend more on their community and trade to get by. Many of these villages are shrinking as they send their boys off to be Monks, and get an education in the cities. Often times, in order to make a better living, their children stay in the big cities, and don’t return home except to visit a couple of times a year. The nice thing about being crowded on a small boat with 100 other people from different parts of the world is you get to know each other a little bit. We met a German man who had been coming to Laos since they re-opened their borders in the mid-90s. 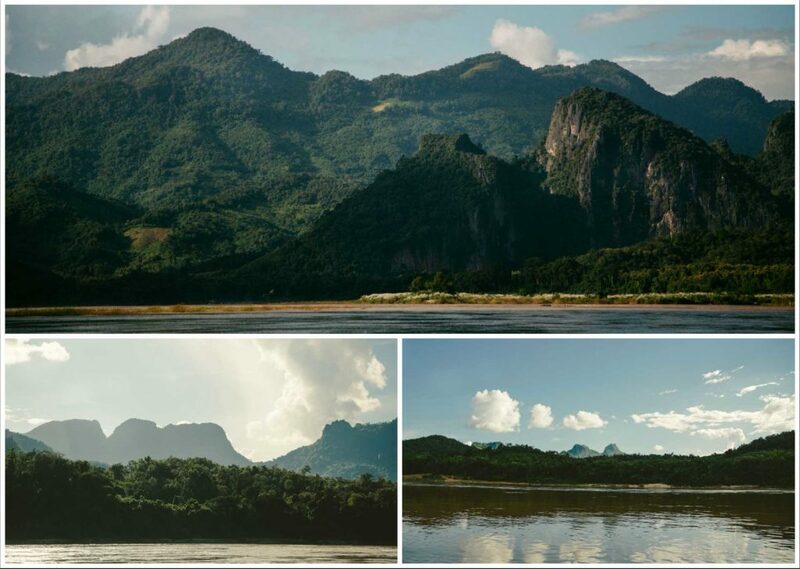 He said since then, Laos has developed quickly, but that it still is such a special and unique gem of a place. My first impression of Laos is that it retains its authenticity and old world charm. The people are still curious, and friendly. But who knows how much longer it will remain so. I feel so lucky to be able to explore this country before it blows up into the next Thailand. Which is why I am somewhat conflicted when I urge you to go. But if you can, you definitely should. pixel gun 3d hacks on Bangkok / What’s a Wat? Dad on Bangkok / What’s a Wat? admin on Goodbye Hawaii, Aloha World. Bob Archer on Goodbye Hawaii, Aloha World. 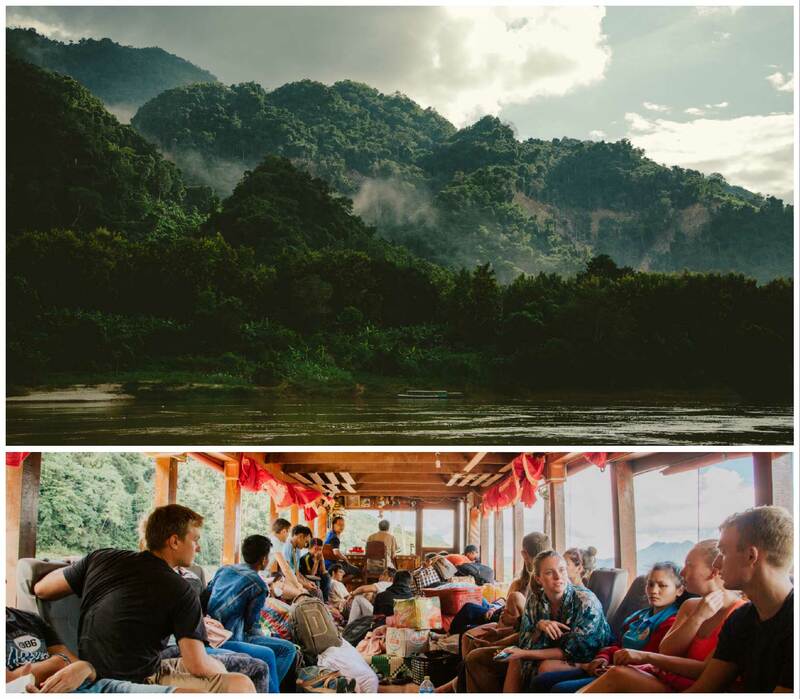 0 Comments on "Life on the Mekong | Taking the Slow Boat to Laos"
All pictures and content are the property of Tradewind Travelers.